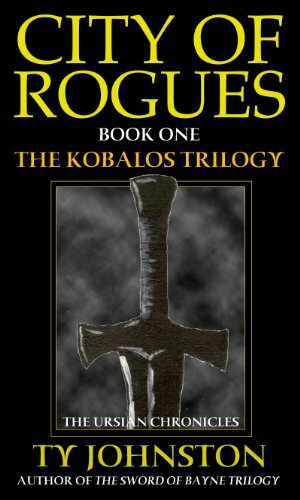 Kron Darkbow seeks vengeance, and he plans to have it no matter the costs. Returning to the city of his birth after 15 years, he hunts down the wizard responsible for the deaths of those he loved only to find out another was responsible for the murders. That other is Belgad the Liar, a former barbarian chieftain who is now boss of the city's underworld. Following his path for blood, Kron comes across the magical healer, Randall Tendbones, and accidentally reveals Randall's darkest secret to the world. It's a secret about the past, a secret that has kept Randall on the run for three years. Now it has caught up with him, and Belgad the Liar is suddenly the least of Randall and Kron's concerns. The gaze of Lord Verkain, king of of the dark northern land of Kobalos, has fallen upon Kron and Randall. And it is a gaze filled with madness.